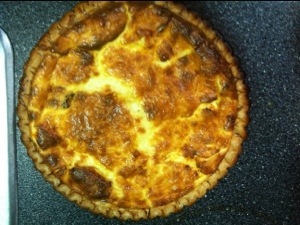 Fixed a quiche for breakfast this morning. Mmmm, it sure does look good. Back to writing this morning and then hopefully we will get started on decorating the town hall for Christmas.